China Cultural and Entertainment Fund L.P.
Co-High Investment Management Limited ("Co-High"), incorporated in Cayman Islands with business office in Hong Kong, is an asset management company with a primary strategy focus on the Greater China region. Leveraging the new economy, industrial upgrading, One Belt One Road and the other China's frontier development, Co-High aims to discover new opportunities in the nation's emerging industries through active value-adding services, creating sustainable value to our portfolio companies, investors, partners and the society. 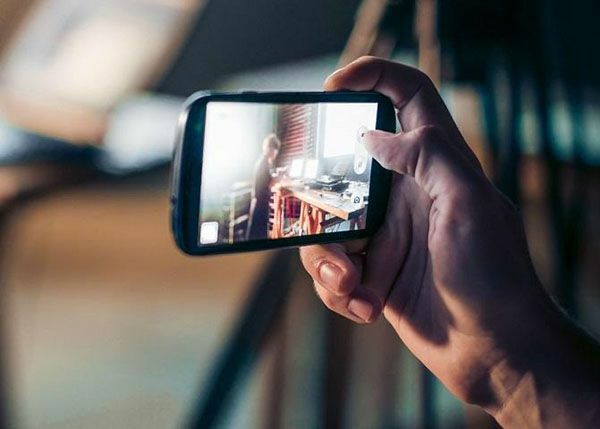 China Cultural and Entertainment Fund L.P. (“CCEF”) announced the investment in mobile video content production and IP incubation company Echo Media has been completed. Echo Media is a mobile video content production company. Content will be broadcasted by live or short video platforms. The company targets the post 1995 cohort, a naturally internet-savvy generation in China which represents the new mobile internet users. Echo Media provides entertainment platforms and products, working platforms and tools. Relying on the new technology, Echo Media introduced the advanced industrial production into the traditional entertainment production, built an efficient and opened production platform. It was invited by YY in 2014 for KOL packaging and thereby in contact with the live industry. In 2016, the company worked with Laifeng Live under the Youku Tudou Inc., to co-produce an interactive variety show called “Go Trainee”. The show emphasizes the formation of an idol by fans and received good market reaction. The number of active users and ARPU are way ahead of the big production show “temptation dinner” in same period. Nowadays, the post-95 university student generation is the crowd for consumption. Therefore, universities have become the most competitive area of consumption sector. Echo Media speedily taken this core market by setting up production studios in universities, building up the nationwide university-student ecosystem. In the future, the company will develop more revenue generating channels such as fast-moving consumer goods, targeted brand promotion, games promotion, e-commerce, education and training, etc, with enormous growth potential. “The Mermaid” was released in 8 February, 2016 (The first day of Chinese New Year), with a box office exceeding RMB 2.48 billion on the 12th day after releasing. According to Maoyan film statistics, the 2016 box office in mainland China exceeds RMB 44 billion with total number of audience exceeding 1.3 billion. The total box office, number of audience and the number of films with over RMB 100 million box offices have all increased comparing to the last year. 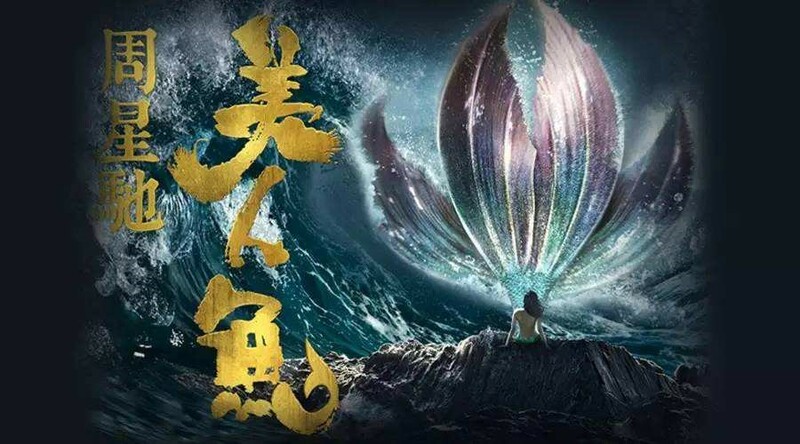 “The Mermaid” wins the 2016 China box office champion with a box office of RMB 3.4 billion. Stephen Chow is the director and chief executive producer. The movie production began in July, 2014 and finished at the end of the year. “The Mermaid” was released in 8 February, 2016 (The first day of Chinese New Year), with a box office exceeding RMB 2.48 billion on the 12th day after releasing. It is the highest box office in mainland China history and the first Chinese movie with a box office exceeding RMB 3 billion. China Cultural and Entertainment Fund L.P. (“CCEF”) is co-investor of this film. YI live under YIXIA is solely awarded the “2017 Tier-2 Cities’ Most Favorite Top 10 App in China mobile Internet” and “2017 the Post-00s’ Most Favorite Top 10 App”. In 17 January, the most authoritative third-party data organization - QuestMobile published “2017 China Mobile Internet Report”. In the report, YIXIA entered the top 10 of “2017 App Value Rank” by its outstanding performance. YIXIA has become the biggest winner in the mobile video realm. YI live under YIXIA is solely awarded the “2017 Tier-2 Cities’ Most Favorite Top 10 App in China mobile Internet” and “2017 the Post-00s’ Most Favorite Top 10 App”. At the same time Miaopai under YIXIA is awarded “2017 the Post-90s’ Most Favorite Top 10 App”. Moreover, Yi Live and Miaopai are both shortlisted for the “2017 Top Players of China Mobile Internet Flow”, indicating their leadership in innovation and ecology. YIXIA is the only company with two products on the list. The achievement is inseparable of YIXIA’s hard work and continuously building in new mobile video ecology. YIXIA Technology is the earliest enterprise exploring the short video business in China. They focus on users experience and are committed to building a new short video ecosystem. Now, YIXA has created a mobile video ecosystem by its products Miaopai, Yi Live and Xiaokaxiu. By cooperating with the biggest social media platform Weibo, Miaopai and Yi Live has achieved dominance in web traffic and become an innovative leader in short video sector. Co-High Investment Management Limited (“Co-High”) and China Cultural and Entertainment Fund L.P.(“CCEF”) are both the investors of YIXIA Technology. Co-High Investment Management Limited and CCEF are both the investor of YIXIA technology. Top notch investment team with excellent vision and enriched experience in post-investment management and capital. Please read this important notice before proceeding further. This notice contains legal and regulatory information relevant to the content of this website. This website is published by Co-High Investment Management Limited (“Co-High”). The views expressed on this website (the “Site”) are not intended as an offer or solicitation for the purchase or sale of any investment or financial instrument. The information contained in the Site does not constitute investment advice and should not be used as the basis of any investment decision. Any investment in an Co-High product must be based on the information contained in that product’s offering materials. References to specific securities are included for the purposes of illustration only and should not be construed as a recommendation to buy or sell these securities. Although Co-High uses all reasonable skill and care in compiling this information and considers the information to be reliable, no warranty is given as to its accuracy or completeness. The opinions expressed accurately reflect the views of Co-High as of the date hereof and, while their opinions stated are honestly held, they are not guarantees and should not be relied upon and may be subject to change without notice. The performance of the given financial instruments and financial indices is past performance and is, therefore, not a reliable indicator of future performance. If the performance of the given financial instruments and financial indices is denominated in a currency other than your own, the return may end up being higher or lower because of currency fluctuations. Consequently, the investments discussed may fluctuate in value and investors may get back less than they invested. Past performance is not a guide to future performance and the investment approach and process described may not be suitable for all investors. The information below explains the legal and regulatory restrictions (the “Terms”) in relation to this website. If you accept the Terms below and wish to enter the website, this page constitutes a binding legal agreement. Please read the Terms, which may be subject to change without notice, carefully. By accessing any page of this website, you agree to be bound by the Terms below. By proceeding, you agree to the exclusion by us of any liability including, without limitation, that arising from any loss of profit or any other damage direct or consequential, in respect of any errors and/or omissions by us and/or any relevant third parties in respect of the contents of this website. The contents of this website are based upon sources of information believed to be reliable, however, save to the extent required by applicable law or regulations, no guarantee, warranty or representation (express or implied) is given as to its accuracy or completeness and Co-High, their directors, officers and employees do not accept any liability or responsibility in respect of the information or any views expressed herein. This website may include forward-looking statements that are based upon our current opinions, expectations and projections. Co-High undertakes no obligation to update or revise any forward-looking statements. Actual results could differ materially from those anticipated in the forward-looking statements. Investors must be aware that views expressed may no longer be current or may already have been acted upon by Co-High. If you have accessed this website using a link from another website, Co-High does not accept any liability or responsibility for the accuracy of information contained on external websites which have links to any pages of this website or to which this website is linked.